Keeping a record of every visitor is a great way to help ensure the security of your seller's home during an open house. Many agents choose the old-school sign-in method, and keep a piece of paper near the front door for visitors to write down their information. While this method can work, it may pose an issue for those open house visitors who do not want their information to be visible to every person who walks through the home that day. Folks that carefully protect their phone number and email address may be less inclined to write down accurate contact information on your sign-in sheet, which would effectively nullify the security and lead-generation benefits of keeping such a record. One way around this dilemma is to employ a digital registration service using your smartphone, tablet, or laptop. Visitor information will be available to your eyes only, respecting the privacy of your prospective buyers while maintaining accurate records for your sellers. All it takes is a simple, direct request to each guest: "For security purposes the sellers have asked to keep a record of today's visitors. Don't worry, your information is confidential and will only be visible me and the homeowners." Most open house visitors are happy to respect this request. 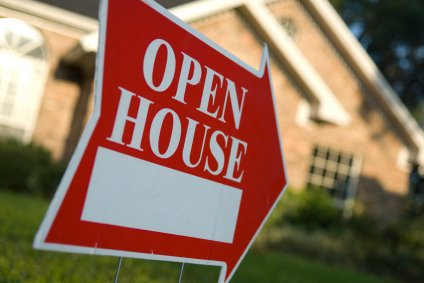 An added benefit of open house digital registration is the ability to keep in contact with the buyers. LookyLeads.com has a system that instantly sends the open house visitor a text with property information the moment they sign in on your device, allowing the buyer to view the home with the property info in hand. If the price or other information changes, the buyer will be automatically sent another text with the updated information. They'll also be sent an email with a feedback request form, which will help you gauge how well the home "shows" and pass that information along to the sellers. A list of all visitors is kept in one easy to access location under your LookyLeads account, allowing you to connect with any new leads in the future. Your clients trust you to keep their home and belongings secure during an open house. While your attention should absolutely be focused on selling their home and meeting prospective buyers, your first and foremost concern should be that security. Advising them to remove valuables and personal papers from the home is very important, but using digital registration to keep a detailed record of every person who walks through their home will help protect you and the sellers from any ne'er-do-wells whose intentions are not honorable. For information on integrating LookyLeads open house digital registration with your ePropertySites account, contact our Member Support team at 949-328-5050.